Call it a dumbed-down Good Will Hunting. 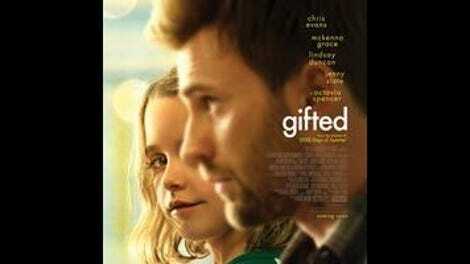 Marc Webb’s new film, Gifted, stars Chris Evans as Frank Adler, a former Boston University philosophy professor trying to raise his adorable, toothless, number-crunching moppet niece Mary (Mckenna Grace) in the boonies of Florida, as far away as possible from the elitist misery that has cursed their family of geniuses. The two lead a happy enough existence: one-eyed cat, long walks on the beach, friendly neighbors, yada yada. In comes the estranged British grandmother, Evelyn (Lindsay Duncan), a disapproving and cat-allergic ice queen who wants nothing more than to wrestle Mary away in family court so that she can live vicariously through the little girl’s mathematical prowess. The central conflict is a no-brainer: the sunset versus the cold lecture hall, the beer-sipping sage versus the opportunistic Cruella De Vil. 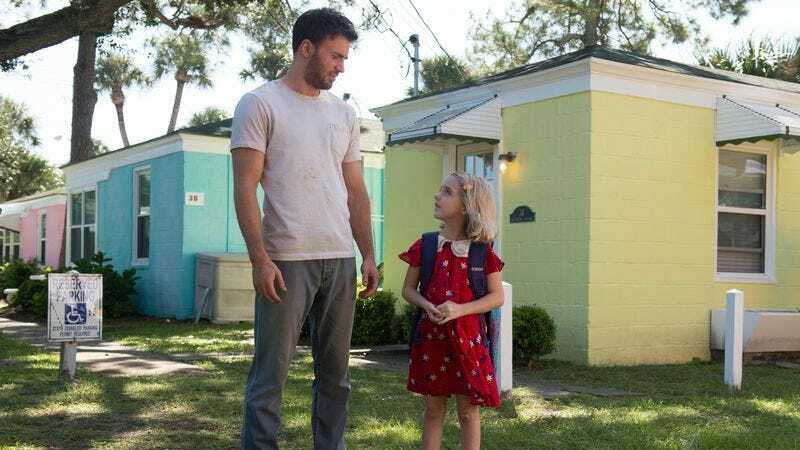 Employing none of the gimmickry that goosed up his debut feature, (500) Days Of Summer, Webb plays it safe, straight, and literal, with cinematographer Stuart Dryburgh largely tasked with making sure that the homes look homey and the sunshine looks sunny. Besides, Tom Flynn’s script seems like it would elude anything but a cursory reading; it’s one of those cave-dwelling dramedy creatures of the Black List, more concerned with stacking decks and forcing character motivation than with portraying human behavior. Thus, Frank can’t simply feel guilty about the death of his sister—he must play a role in her suicide, having ignored a phone call on that fateful night. Evelyn can’t just be an overbearing parent—she must be grooming little Mary to continue her daughter’s work on the Navier-Stokes existence and smoothness problem, still unsolved in real life. She hasn’t even seen the girl since infancy before showing up on Frank and Mary’s doorstep unannounced and uninvited. Lest the viewer ever doubt that Frank is swell and Mary is special in ways that go beyond a knack for solving complex equations in her head, Gifted offers character witnesses in the form of their beloved next-door neighbor, Roberta (Octavia Spencer), and Mary’s first-grade teacher, Bonnie (Jenny Slate). In a funny sense, the central custody dispute is a metaphor for the film, which addresses its audience as though they were a bored-looking Sunshine State judge who needed everything proven twice over, preferably with the use of visual aids. This type of overcomplicated idiot-proofing is the opposite of dramatic and psychological complexity, since it negates the possibility of a difficult emotional choice. And on the rare occasions that a character makes something close to one—as when Frank decides to let Mary live with a foster family, partly because, uh, he has no health insurance—it comes across as bunk. So what’s left, once one accounts for the suffocating and stultifying plot mechanics? Polished cutesiness; attractive shots of beach sides; and a good, mostly underutilized ensemble cast. Evans, exuding everyman decency, has moments of relaxed chitchat with Duncan that belie the black-and-white conflict between their characters; the notion that these two could get along fine under different circumstances is more compelling than their battle over Mary’s guardianship. And there is a germ of subversion in the idea that supposedly super-intelligent, hyper-articulate people are actually a gaggle of idiots. But this is something that Gifted only ever stumbles into by accident and in the interest of plot.